September | 2013 | Keep It Up, David! Race Recap: Climbing To the Highest Roof in Town! It was a great weekend, ladies and gentlemen, and it started with an incredible event: The 20th Annual Stair Climb for Los Angeles, a charity race up the stairs of the US Bank Tower, the tallest building west of the Mississippi. How tall is it? The roof is over 1,000 feet off the ground. There are 75 stories. There are 1,679 steps. On Friday, I raced up all of them. This is my third tower race, but my first in the US Bank Tower. My first two races were in the Aon Center, a 63-story tower a few blocks away, but the US Bank Tower is 12 stories higher. And that’s a big difference when you’re climbing stairs! But I was mentally and physically prepared. I’ve been training hard for weeks (and feeling it afterwards). I was ready to go. The race was on a Friday afternoon, and it was a huge event. There were nearly 3,000 climbers, compared to 600+ for the Aon Center events. The whole thing was organized by (and benefited) the Ketchum-Downtown YMCA, and racers were scheduled to enter the building, one at a time, every 8 or 10 seconds from 11:45am until nearly sunset. This post will be a little off-topic, but I couldn’t resist sharing when I’ve learned in the past day or so. It will contain a recipe, written by a physician, so it’s not entirely off-topic for a health and weight loss blog, but it is a stretch. And that’s because that physician was Nostradamus, and he published this recipe a few years ago, in 1555. Sore. Sore. Sore. Sore. Sore. I slept terribly the other night. Why? Because I’m so incredibly sore. I’ve been pushing myself hard lately, in preparation for my climb up the stairs of the tallest building on the west coast, and I’m feeling it throughout my body. Most of the time, I don’t mind feeling sore. In fact, I like it – it means I’m doing something right. But last night, I was so sore that every time I shifted or turned in my sleep (and I toss and turn a lot), my entire lower body would starting aching, and I’d wake up. 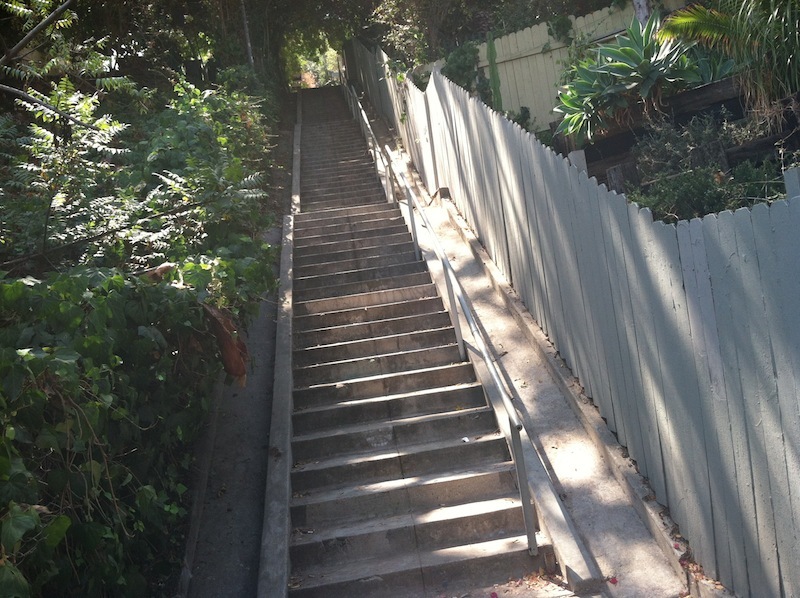 It began late last week, a day after my brutal (and wonderful) workout on the public stairways in Silver Lake (read about it here). In total, I ran up over 1,800 steps, and ran down them too. On November 18, 1932, the biggest stars in Hollywood gathered at the now-demolished Ambassador Hotel in Los Angeles. The occasion? The 5th Annual Academy Awards. The evening is noteworthy for a couple reasons: Walt Disney received his first 2 Oscar statues (he eventually would receive 24 more), and the Academy introduced categories to honor short films for the first time. 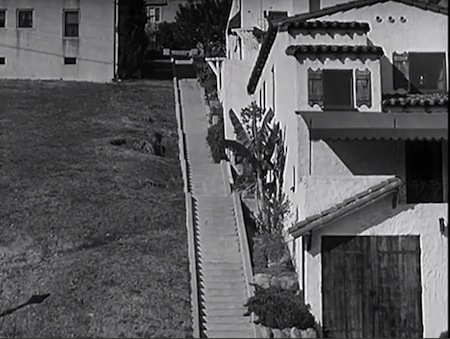 The very first winner in the Best Live Action Short Film, Comedy category was the Laurel and Hardy classic “The Music Box,” in which Laurel and Hardy are tasked with delivering a piano to the top of a giant staircase. As you can imagine, hijinks ensue. The entire film is on YouTube – watch it here. Last week, a big package arrived at my door. I love big packages! What could it be? FREE FOOD! I love food, but free food is even better. It was a gift, arranged by my friends Heather and Adam in New Jersey. 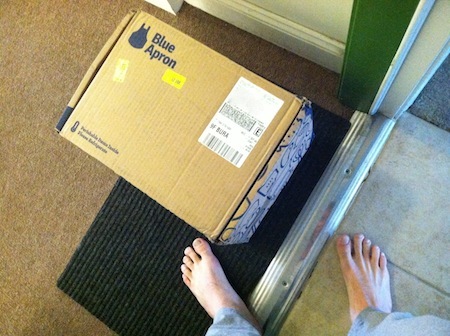 They’ve become rabid fans of Blue Apron, and when they were given the opportunity to send food to someone, they chose me. How kind! 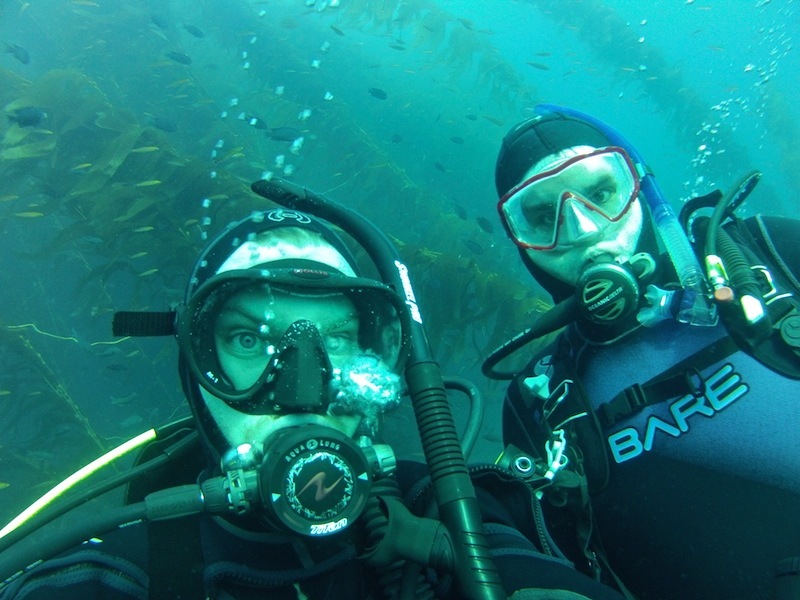 There were a total of three dives, and the third one was a doozy. Strong currents, and waves that were rocking the boat back and forth. Mikael and I started started our descent, and about 12 or 15 feet down, I exhaled, and that’s when my mask started filling up with blood. Uh oh. 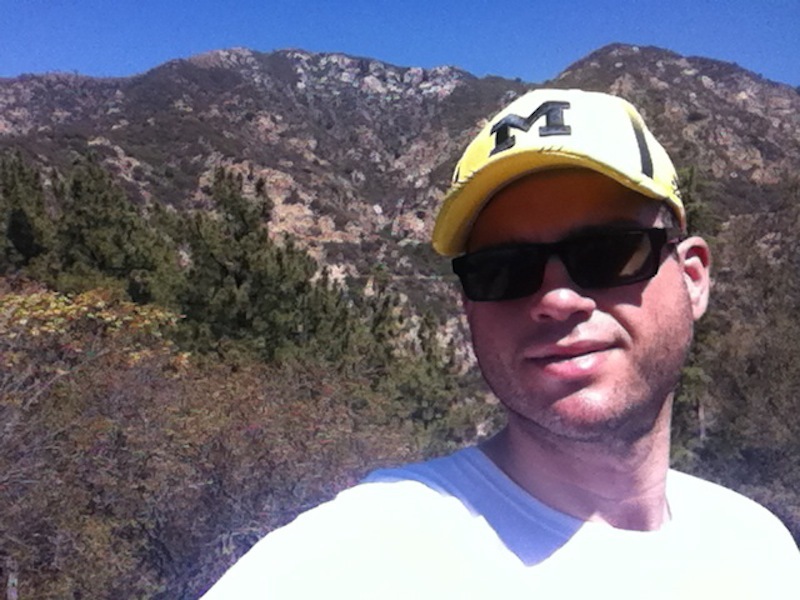 My Most Awesome (and Historical) Hike Yet! Lately, my nerd flag has been waving most prominently in my Cardio to Vegas posts, where I explore local geography and history as I make a virtual run from Los Angeles to Las Vegas. And while I’m due for a Cardio to Vegas update (I’ve amassed over 25 miles since my last update), I’m going to nerd out right now on something else entirely. It involves the hike I went on yesterday – a hike that was one of the best hikes I’ve ever been on, because I got to visit 100-year-old ruins on top of a mountain. You are currently browsing the Keep It Up, David! blog archives for September, 2013.